Even when you proactively anticipate all the people risks that have the potential to impact your workplace, it’s easy to convince yourself there is no risk to you — that it will never happen here. You may think no one at your workplace will harass anyone, no one will sue you over an honest mistake made in administering workers’ comp, no one will accidentally cause a data breach, or no one will ever bring a weapon to the office. You might think managing people risk is extremely time consuming and not worth the effort. Rationalizations like this may lead you to believe you don’t need to do anything to prevent these risks. However, these risks are very real and can happen anywhere, at any time. It’s imperative you cover all of your bases, and it’s actually very straightforward, especially if you have a partner on your side. Ideally, you will integrate people risk management (PRM) with your business practices so it’s not something extra to do; it’s a way of doing things you already do. PRM can be a lens through which you look through when evaluating your policies, procedures, and other aspects of how you run your company. When you are anticipating risk, you are thinking about what might happen. Then you need to look at what you should do when something actually happens and it’s time to acknowledge the risk. Maybe a law passes or regulation is finalized, you realize your pay policies are not in compliance with the law, or an employee informs you they have been prescribed medical marijuana but you have a very strict drug use policy. What tools to do you have to deal with that? Understand when and how the risk will impact you. If it’s a law or regulation, when does it go into effect? Is it an ongoing issue or something that can be addressed and then set aside? What are the potential penalties or pitfalls presented by the risk? Determine the best course of action. Does the situation require simple changes to operations or a more complicated approach? Where do changes need to be implemented — in handbook policy updates, procedural documentation, or new training programs? Craft communication strategies around the risk. Who needs to know what, and how much information should be given to people at each level? What information should be held back to preserve confidentiality? What information is only relevant to a handful of people (such as when an OSHA report is due) and what information is relevant to everyone (such as who needs sexual harassment training in your state)? Decide what change management activities are required to get buy-in. It’s one thing to decide to do something but getting people ready to embrace the change is another thing. If change management is good, then the changes will take hold, the implementation will be smooth, and the risks will be lower. On February 26, 2019, California Senate Bill 778 was introduced to clear up confusion about when employers are required to provide employees with sexual harassment prevention training and education under the California Fair Employment and Housing Act (as amended by Senate Bill 1343) and when retraining is required. Read about S.B. 1343 in our blog. What is the Law Now? As the law reads now, an employer with five or more employees must provide classroom or other effective interactive training and education regarding sexual harassment prevention (at least two hours to all supervisory employees and at least one hour to all nonsupervisory employees in California) within six months of an employee’s assumption of a position. Current law also states that employers who have provided this training to employees after January 1, 2019, are not required to provide sexual harassment training and education by the January 1, 2020 deadline. What are the Proposed Changes? If an employer provided sexual harassment prevention training and education to employees after January 1, 2018, then they are not required to do so again until after December 31, 2020. If enacted, S.B. 778 clarifies the issue of whether employees need to be retrained even if they were trained in 2018. The answer is no. If an employer provided training in 2018, then it would not need to retrain in 2019 but rather, refresher training and education would not be required to be provided until after December 31, 2020. How Does This Impact My Workplace? Right now, S.B. 778 has zero impact on your workplace. Is the bill interesting? Yes! Does it change anything today? No! That is because the bill has merely been introduced and is not an enacted law. Additionally, the history of actions on the bill (viewable on this page) states that it may be acted upon on or after March 29, 2019. Experts predict this bill will move to enactment without modification. So if it is enacted, then your workplace could be directly impacted. But don’t forget, California AB 1825 training is still required on a two year cycle! So as always, in implementing a best practice approach, employers that did not provide sexual harassment prevention training for their supervisory employees in 2018 (because their two-year cycle hit in 2019) must ensure the AB 1825 training is met this year. Moreover, we recommend that employers provide non-supervisory employees with the sexual harassment prevention training and education as required under S.B. 1343. The intent of S.B. 778 is to clarify timelines, not circumvent or deviate from training. Moreover, the spirit of the law remains the same, to ensure that employers provide ALL employees with the necessary education and training to function and conduct themselves in a workplace that is free from sexual harassment. In October 2018, California Governor Jerry Brown signed Senate Bill 1343 modifying the California Fair Employment and Housing Act (FEHA) sexual harassment training requirements. Q. By what date must employees be trained? A. Both managerial and non-managerial employees must receive training by January 1, 2020. After January 1, 2020, employees must be retrained once every two years. That means that all employees statewide must be retrained by January 1, 2022. Q. What if my employees were trained between January 1 and December 31, 2018? A. The law requires that employees be trained during calendar year 2019. Employees who were trained in 2018 or before will need to be retrained. What does this all mean? Essentially, everyone needs to be trained, retrained, and then some. California lawmakers are clearly, emphatically, yelling on their tiptoes from the top of Mount Whitney about the importance of sexual harassment training and prevention in the workplace. Question: Our company received a survey from the U.S. Census Bureau asking about the health coverage we offer to employees, how much it costs, etc. Is this an official survey? Do we have to provide the information? Answer: It appears your company has been randomly selected for the federal government’s Medical Expenditure Panel Survey (MEPS). Here is a sample of the 2018 survey. The U.S. Census Bureau conducts a variety of studies on different schedules. The most widely known one is the once-a-decade census of the entire U.S. population, but the Bureau also conducts surveys every year of randomly-selected individuals and businesses on different topics. It has used the MEPS for several years to collect data on health insurance spending, the availability of employer-provided coverage, costs paid by employers and workers, and to study trends over time. Policy makers and health care researchers use the data in aggregate form, while each participant’s data is kept confidential. It is your choice whether to respond to the MEPS. There is no penalty if you do not answer some of the questions or if you decide not to return the survey at all. Your participation is entirely voluntary. To learn more about the MEPS, see the FAQs that the Census Bureau has prepared for businesses. Question: We give year-end bonuses based on attendance, and employees with a certain number of absences are disqualified. If an employee took FMLA leave, can we count those absences against them and withhold the attendance bonus? Answer: Yes, if you apply the rubric used to qualify employees for the bonus consistently across all “equivalent leave status” reasons for absence. For example, if you count days off for vacation, paid time off, jury duty, or military leave as absences for the purpose of determining who receives the bonus, you can also count days taken under Family and Medical Leave Act (FMLA) leave. The same answer applies to bonuses earned for other goals that may be impacted by FMLA leave, such as sales targets or total numbers of hours worked. If a bonus or raise is not tied to a specific condition, but rather is a cost of living or annual increase provided by all employees, an employee may not be disqualified on the basis of having taken FMLA leave. Most people, according to a new survey featured in HR Dive, have the greatest sense of belonging in their own homes. That may not be surprising news, but what is interesting is that one third of respondents felt the greatest sense of belonging in their workplace. A significant percentage, 40 percent, attribute that feeling to actions their colleagues and managers take to check in on them, both personally and professionally. Belonging improves employee retention and productivity, certainly, but it requires acknowledgement of diversity and efforts at inclusion. This critical sense of belonging can be deepened, or hampered, during the holiday season. Beyond secular or national holidays like Thanksgiving and New Year's, the fall and winter months are full of faith-based holidays beyond Christmas. The Society for Human Resource Management has some tips as well as a list of celebrations for the coming months intended to help companies create inclusive workspaces for people of more faiths and cultures. When employees feel valued and known, they are more engaged. Mutual respect is not only good for morale, it’s good for productivity. Some tips include sharing more about holidays in internal communications, creating luncheons that feature traditional dishes or are mindful of dietary restrictions or fasting practices, or sponsoring a service or volunteer day. On November 5, 2018, the Internal Revenue Service (IRS) released Notice 2018-85 to announce that the health plan Patient-Centered Outcomes Research Institute (PCORI) fee for plan years ending between October 1, 2018 and September 30, 2019 will be $2.45 per plan participant. This is an increase from the prior year’s fee of $2.39 due to an inflation adjustment. The Affordable Care Act created the PCORI to study clinical effectiveness and health outcomes. To finance the nonprofit institute’s work, a small annual fee — commonly called the PCORI fee — is charged on group health plans. For plan year ending between October 1, 2017 and September 30, 2018: $2.39. For plan year ending between October 1, 2018 and September 30, 2019: $2.45. Insurers are responsible for calculating and paying the fee for insured plans. For self-funded health plans, however, the employer sponsor is responsible for calculating and paying the fee. Payment is due by filing Form 720 by July 31 following the end of the calendar year in which the health plan year ends. For example, if the group health plan year ends December 31, 2018, Form 720 must be filed along with payment no later than July 31, 2019. A traditional health reimbursement arrangement (HRA) is exempt from the PCORI fee, provided that it is integrated with another self-funded health plan sponsored by the same employer. In that case, the employer pays the PCORI fee with respect to its self-funded plan, but does not pay again just for the HRA component. If, however, the HRA is integrated with a group insurance health plan, the insurer will pay the PCORI fee with respect to the insured coverage and the employer pays the fee for the HRA component. A qualified small employer health reimbursement arrangement (QSEHRA) works a little differently. A QSEHRA is a special type of tax-preferred arrangement that can only be offered by small employers (generally those with fewer than 50 employees) that do not offer any other health plan to their workers. Since the QSEHRA is not integrated with another plan, the PCORI fee applies to the QSEHRA. Small employers that sponsor a QSEHRA are responsible for reporting and paying the PCORI fee. The PCORI program will sunset in 2019. The last payment will apply to plan years that end by September 30, 2019 and that payment will be due in July 2020. There will not be any PCORI fee for plan years that end on October 1, 2019 or later. Fees on Health Insurance Policies and Self-Insured Plans for the PCORI Trust Fund — Final Rule (77 Fed. Reg. 72721, December 6, 2012). Chart of common types of health coverage and whether the coverage is subject to the PCORI fee. Form 720, Quarterly Federal Excise Tax Return. An article in the Harvard Business Review suggests that the traits that make someone become a leader aren’t always the ones that make someone an effective leader. Instead, efficacy can be traced to ethicality. Here are a few tips to be an ethical leader. A little charisma goes a long way. Too much and a leader risks being seen as self-absorbed. Instead, focus on the good of the group, not just sounding good. Proving reliable and dependable matters. Showing that—yes—the boss follows the rules, too, earns the trust and respect of the people who work for you. It’s tempting to want to be well liked. But showing responsibility and professionalism is better for the health of the team—and your reputation. Analysis and careful consideration is always appreciated. But at the top you also have to make the call, and make sure it’s not just about the bottom line. Once you get comfortable in your leadership role, you may get too comfortable. Seek feedback and stay vigilant. A company that highlights what happens when leaders aren’t the ones to champion ethics is presented in Human Resource Executive. Theranos had a very public rise and fall, and the author of the article cites the critical role compliance and ethics metrics might have played in pushing for better accountability. The article also makes the case for the powerful role of HR professionals in helping guide more impactful ethics conversations. One high profile case study of a company recognizing that leadership needed to do more is Uber. Here, leadership realized that fast growth was leading to a crumbling culture. A piece in Yahoo! Sports shows how explosive growth can mean less time to mature as a company. Instead of focusing of partnerships with customers and drivers, Uber became myopically customer-and growth-focused. This led to frustrations for drivers and ultimately a class-action lawsuit. New initiatives, from tipping to phone support to a driver being able to select riders that will get them closer to home, have been rolled out in recent months. These changes have been welcome, but, as the leadership reflected, could have been more proactively implemented to everyone’s benefit. The mindset of bringing people along will also potentially help Uber maintain better ties with municipalities, which ultimately, is good for growth. Trying to decide which of the many employer-sponsored benefits out there to offer employees can leave an employer feeling lost in a confusing bowl of alphabet soup—HSA? FSA? DCAP? HRA? What does it mean if a benefit is “limited” or “post-deductible”? Which one is use-it-or-lose-it? Which one has a rollover? What are the limits on each benefit?—and so on. While there are many details to cover for each of these benefit options, perhaps the first and most important question to answer is: which of these benefits is going to best suit the needs of both my business and my employees? In this article, we will cover the basic pros and cons of Flexible Spending Arrangements (FSA), Health Savings Accounts (HSA), and Health Reimbursement Arrangements (HRA) to help you better answer that question. An FSA is an employer-sponsored and employer-owned benefit that allows employee participants to be reimbursed for certain expenses with amounts deducted from their salaries pre-tax. An FSA can include both the Health FSA that reimburses uncovered medical expenses and the Dependent Care FSA that reimburses for dependent expenses like day care and child care. An HSA is an employee-owned account that allows participants to set aside funds to pay for the same expenses that are eligible under a Health FSA. Also like an FSA, these accounts can be offered under a cafeteria plan so that participants may fund their accounts through pre-tax salary reductions. For help in determining which flexible benefit is right for your business, contact us! In a tight labor market, a candidate’s potential commute can make a job more or less attractive. HumanResources reports that a quarter of employees surveyed had left a job because of the commute. When looking at just Millennials, the number jumps to one third. Employees can be choosy, selecting a job that offers more of what they want, and that means less of a commute. Companies can work around this by offering transportation amenities, flexible scheduling or more remote working opportunities. Forbes has a recent interview with Tamara Littleton, founder of The Social Element, who’s successfully built a remote team at the social media management agency. She argues culture starts at the top. By treating people well, which includes offering remote opportunities, it sets a tone for the whole company. Creating opportunities for in-person meetings and gatherings balance any isolation that may happen. Then, more regular face-to-face communication, essential to build trust and teamwork, comes via video calls when email might otherwise be the default. Newsletters and webinars keep the team connected and ensure important messages aren’t missed. She can point to the success of her ideas with the hire of many senior team members, willing to sacrifice some pay for more flexibility. When implementing remote-friendly strategies, there are plenty of success stories to draw inspiration. Entrepreneur has some tips from Zapier, a company that has been on the forefront of offering alternative working arrangements. In fact, they offer a “de-location” package to encourage employees to move from the cost-prohibitive Bay Area. Tools like Slack facilitate real-time communication, with tools to find ideal meeting times across time zones and channels themed for non-work related conversations. Bots regularly and randomly pair up employees to get a chance to know one another during a brief call. A semi-regular retreat brings people together in person and impromptu video dance parties make slow days more fun. The takeaway? Being proactive and creative to build remote work policies can get you the employees you want, wherever they may be. The employer has done so in a manner that is not limited and routine. Under the NLRB’s proposed rule, indirect influence and contractual reservations of authority would no longer be sufficient to establish a joint-employer relationship. Why Does This Matter to Your Business? Okay, 1980s hit movies don’t have anything to do with your business, but according to the NLRB, re-establishing the 1984 standard best meets the intent of the National Labor Relation Act’s joint-employer doctrine by not drawing third parties, who have not played an active role in deciding wages, benefits, or other essential terms and conditions of employment, into a collective-bargaining relationship for another employer’s employees. And here’s the proposed rule. Have at it . . . because you gotta cut loose. Aristotle was right when he said, “Nature abhors a vacuum.” Companies and politicians like to say that they’re transparent, when in fact, they’re often the opposite. And, as in nature, in the absence of facts, people will often fill their minds with what is perceived. If you’re working at a company, rather than being one of its customers, and you’ve been told by senior management that they’re transparent about what goes on, then make sure you take a close look at what they’re willing to share. In the article titled “The Price of Secrecy” in Human Resource Executive Online, employers are quick to cite company policy, yet are reticent to share if and how those policies are being enforced. This has a huge impact on employee trust and can quickly have the opposite effect on employees following said policy. Basically, employees want to know that if they follow the rules, others will also follow them, or there will be consequences for not doing so. Companies can hide behind the mantra of “it’s being handled,” or “it’s an employee issue,” but what the employer may forget is that gossip will sometimes fill in the unknown. Compounding matters is that employees want to know that if a colleague violates company policy, the appropriate disciplinary action will be taken. Employers seldom reveal any disciplinary process or policy enforcement simply because it may violate privacy, or it might embarrass either the employee or employer. For example, an employee has been stealing company property for months. Eventually, the employee is caught, but it may reflect poorly on the employer that it took a long time to realize this was happening, or that safeguards were not in place to prevent the theft in the first place. So, while the employer wants to inform its employees about this violation and how it was handled, they also don’t want to expose vulnerabilities that could undermine the employee’s trust in the company. Another benefit of policy transparency is that it keeps the enforcers honest. That is, if a company employee is responsible for doling out punishment, then that person is more likely to do it fairly and impartially if they know everyone is watching. When will the new Form W-4 be released? In 2020, according to a press release published by the Treasury Department on September 20, 2018. The department announced that the IRS will implement a redesigned W-4 form for tax year 2020, a timeline that will allow for continued work to refine the new approach for the form. As a result of the enactment of the 2017 Tax Cuts and Jobs Act, the Treasury Department and the IRS are revising the wage withholding system and Form W-4, Employee’s Withholding Allowance Certificate. In June 2018, the IRS released a draft redesigned form for public comment and received many suggestions for improvements, which they are working to integrate. For tax year 2019, the IRS will release an update to the Form W-4 that is similar to the 2018 version currently in use. The 2019 form will be released in the coming weeks according to the usual practice for annual updates. The Treasury Department and IRS will continue working closely with the payroll and the tax community as additional changes are made to the Form W-4 for use in 2020. The intent of these additional changes is to make the withholding system more accurate and more transparent to employees. The IRS will release the 2020 form and related guidance and information early enough in 2019 to allow employers and payroll processors ample time to update their systems. It’s typical to have mixed feelings about the annual benefits open enrollment period. Dread for the additional administrative workload and potential benefits cost increases… Anticipation of newer, more attractive, and easier to administer plans… It makes for a fall season that causes many HR professionals and benefits brokers to drown their misery in pumpkin spice lattes. A high-quality employee benefits package is one of the best tools in your arsenal to attract the right talent, enhance employee engagement, and retain your most valuable employees. According to a May 2018 Harris Poll/Glassdoor survey, nearly half (48 percent) of U.S. workers cited attractive company benefits and perks as key factors in their likelihood to apply for a job, and other surveys have found that excellent benefits play a role in retaining employees. Employees today expect their employers to be creative, consider employee needs, make benefits easy to use, and offer them choices to help manage their lifestyles. Besides health insurance, benefits protecting their incomes, such as disability insurance, financial planning, and retirement plans are important. In addition, consider that employees are tech savvy and expect to have online tools and calculators, along with complete communications, to assist them in making decisions regarding their benefit options. Reviewing workforce demographics and benefits usage to get a better understanding of employees’ stages in the lifecycle. Knowing your audience and targeting benefits communications to meet those lifecycle needs makes the benefits more personal and relevant. Employees with young families, older workers preparing for retirement, empty nesters, and young singles all have distinctly different benefits needs and interests. Packaging benefits by target group with messaging that speaks to each group’s needs while consistently reinforcing the overall benefits strategy and company branding in the messaging. Different communications delivery systems may also be important to different employee groups. Starting the messaging with why the benefits are structured as they are and what the company’s overall benefits strategy is designed to accomplish. Don’t sugarcoat any bad news about changes in the benefits program. Employees will see through it and resent attempts to hide changes that may be perceived as negative. This is a good time to highlight the important value of their benefits programs, promote wellness, encourage retirement savings, and encourage cost-effective usage of benefits programs. Keeping the messaging straightforward. Provide clear information, checklists, and decision support tools that are easy to follow. Have the details available but keep the key messages and “what you need to do for enrollment” information central to the enrollment materials. Bringing company managers and supervisors into the discussions prior to launch. Give them a heads up regarding the upcoming benefits changes and enlist their help in the process. Communications delivery methods. Electronic communications? Mobile apps? Webinars? In-person company meetings? Text messages? Packages mailed to home addresses to involve the family? Use of social media? Intranet messaging? Gaming techniques? Frequent emails or instant messaging? Live hotline for questions and concerns? Combination of all methods? Enrollment methods. Online? Manual? Mobile? Make it as administratively simple as possible for both employees and the benefits administration staff. Use electronic tools if the budget allows. Timing. Establish a timeline working backwards from the date that the information must be completed with the carriers and other benefits providers. Then work forward to deliver the communications program. Frequency. Employees need time to consider their options and allow the information to soak in. Consider sending employee prompts and reminders so that the enrollment process is completed in a timely manner. The annual open enrollment communications opportunity is precious — you can influence how employees see benefits or cost changes, motivate employees to change their health or savings habits, and let employees know that management is listening, considering their feedback valuable, and responding to their needs. Nancy Spangler, senior consultant at the Center for Workplace Mental Health of the American Psychiatric Foundation, says that one in five adults has a mental health disorder, and one in 10 has a substance abuse problem. In addition, major depression and its associated conditions cost the U.S. over $210 billion every year. Clearly, mental health is an issue we need to investigate both in our offices and across the country. Many organizations have found that simply by working with employees to recognize depression, build empathy, and find resources, increased EAP utilization while claim dollars did the opposite. In most cases there was no formal program involved—leadership simply began talking about the issue, and the reduced stigma led to better health (and better offices!). What can we do besides reducing stigma, especially from the top down?At the 2018 Health Benefits and Leadership Conference, experts listed five “buckets” of challenges in addressing mental health: access to care, cost of care, stigma, quality, and integration. Breaking these down into individual components not only helps employees find the support they need and deserve, but it further reduces stigma by refusing to separate mental health from medical coverage or wellness programs. Experts also recommend inviting EAPs to visit offices in person, instead of simply suggesting employees call when they can. Another increasingly popular technique is text-based therapy. This a great fit for many employees because someone is always available and the conversation is always private, even when the client is sitting at a desk in a shared space. In addition to reducing stigma through transparency and access, employers can also help increase the quality of care available to employees. One key move is simply asking for data. How do vendors evaluate quality, meet standards, and screen for illness? Do health plan members have confidential ways to report their experiences? Mental health care should be seen no differently from other kinds of health care. Employees who have access to quality, destigmatized mental health care build stronger, more functional, and ever-happier workplaces. On August 1, 2018, the Internal Revenue Service, the Department of Health and Human Services (HHS), and the Department of Labor (collectively, the Departments) released a final rule that amends the definition of short-term, limited-duration insurance. HHS also released a fact sheet on the final rule. According to the Departments, the final rule will provide consumers with more affordable options for health coverage because they may buy short-term, limited-duration insurance policies that are less than 12 months in length and may be renewed for up to 36 months. The final rule will apply to insurance policies sold on or after October 2, 2018. We are currently living in a low-trust society as a whole — we keep hearing that news is fake, science is fake, and so on. That makes it hard for us to trust anyone and is why we need to work on building trust in the workplace more than ever. Human resources professionals and business leaders have an imperative to instill a culture of trust — not just because it is key to employee engagement, satisfaction, and performance, but also because it’s just the most human thing to do. When you look at the foundations of trust, they are simple: People want to trust that they are going to be treated with respect, that their leaders are credible, and what they do matters. They want to know that they are secure. Feeling protected is a foundational need. To earn the trust of someone else, you need to provide this protection. Your employees want to feel that the organization and their bosses are looking out for them, and that they genuinely care. Underlying the protection we all need and desire are “BLT” (just like the comforting feeling of the classic BLT sandwich): balance, love, and truth. When people feel protected, they are going to demonstrate kindness, loyalty, courage, and generosity. When you don’t instill a sense of protection, it will stifle innovation and slow down the organization. Presence is simple. It’s literally being present in all your interactions — meetings, one-on-one discussions, and interviews. We talk a lot about mindfulness these days, but it extends beyond the personal to the relational. Today, it feels like no one is ever present — we are all tuned in to our devices all the time. So turn off your computer, phone, tablet, watch, etc. when someone comes into your office, stay focused in conversations, and don’t bring your devices to meetings. Put your attention into what you value. Enjoy the present moment and truly experience it. Lack of presence sends a message of lack of trust. As humans, we constantly make progress, minute by minute. We want to know that we are moving in the right direction. How are we helping our employees make progress? Are we focused on helping them move ahead? Supporting your employees’ efforts and making progress is vital to helping them feel that you care about them fundamentally. I have a personal philosophy of growth and recommend setting weekly growth plans. I pick one personal topic, like last week was protein, and I investigate to understand it. I also pick one work topic, like running better meetings and investigate that for the week. It’s not complicated — just pick a topic and spend the week growing at it. Communicating needs is important, but it takes trust to do that. One way to develop the three Ps of trust is by asking the right questions, then really listening to the answers and acting on them. It shows you care and that you want to help people not feel like they are stranded or drowning. It tells your staff it’s safe to say that they are overwhelmed or hung up somewhere, or they don’t have the answers. Do you have any decisions you are hung up on? Am I giving you the resources or information you need to do your job? Do you have too much on your plate? What are you worried about right now? What rumors are you hearing? Would you like more or less direction from me? If you could pick one accomplishment to be proud of between right now and next year, what would it be? What are the biggest time-wasters you encounter? What type and amount of feedback works best for you? “Design thinking” is a fairly common term. Even if the phrase is new to you, it’s reasonably easy to intuit how it works: design thinking is a process for creative problem solving, utilizing creative tools like empathy and experimentation, often with a strong visual component. The term dates from 1968 and was first used in The Sciences of The Artificial, a text written by Nobel Laureate Herbert Simon. For Simon, design thinking involved seven components, but today it’s usually distilled to five: empathize, define, ideate, prototype, test. In this way, creative tools are employed to serve individuals in a group, with a solution-driven focus. It’s important to note that these components are not necessarily sequential. Rather, they are specific modes, each with specific tools that contribute equally to solving an issue. Most significantly, as Steve Boese of HR Executive noted in a recent column, design thinking is a rising trend in HR leadership. “Those using this strategy,” he says, “challenge existing assumptions and approaches to solving a problem, and ask questions to identify alternative solutions that might not be readily apparent.”Design thinking helps teams make decisions that include employees in meaningful ways, personalize target metrics, work outside the box, and produce concrete solutions. Even teams with established, productive structures use design thinking in the review process, or to test out expanded options. Boese says that the key shift design thinking offers any team is the opportunity to troubleshoot solutions before they’re put into real-time practice. The main goal of design thinking is not process completion, low error rates, or output reports, as with other forms of HR technology, but employee satisfaction and engagement. More often than not, this leads to increased morale and even more opportunities for success. Is medical marijuana use protected by the Americans with Disabilities Act (ADA)? If so, what accommodations would be considered reasonable? What the employee’s needs are, and which appropriate accommodations could be made. If the employee’s physician has determined that medical marijuana is the most effective treatment, a possible reasonable accommodation would be a waiver of your anti-drug policy. However, if the employee is in a safety-sensitive position, it may pose an undue hardship to make that accommodation and you should consider any other possible accommodations before denying the request. There are no reasonable accommodations that would work in every circumstance. You will need to review the essential functions and safety requirements of the job with the employee to determine what types of reasonable accommodations may be acceptable while not imposing an undue hardship. While medical marijuana use is not protected by the ADA, this is being challenged at the state level. For example, in July 2017, the Massachusetts Supreme Judicial Court held in Barbuto v. Advantage Sales and Marketing that an employee who was fired after testing positive for marijuana could proceed with a “handicap discrimination” claim under the Massachusetts Fair Employment Practices Act. In allowing the employee’s discrimination claim to go forward, the Court expressly rejected the employer’s argument that, because marijuana is illegal under federal law, requiring an employer to accommodate medical marijuana use is per se unreasonable. Instead, the Court held that, at a minimum, the employer was obligated to engage in an interactive dialogue concerning the employee’s ongoing medicinal marijuana use before terminating her employment. The Court did not rule out the possibility that accommodating medicinal marijuana use could pose an undue hardship, leaving that issue open for the employer to address at a later date. Vince Murdica, chief revenue officer at ThinkHR, discusses what it takes to become scalable and sustainably staff companies through bursts of rapid growth. I’ve seen it in my own career: When companies go through rapid growth — quickly moving from 50 to 100+ employees — things start to get shaky. This period of acceleration can be compared to when a jet breaks through the sound barrier. The flight is smooth until that moment, then the plane rattles violently and feels like it’s going to break apart. But when it gets through to the other side, it’s smooth skies again and you’re now flying even faster and higher. There is a loss of control as a company gets bigger, and not all leaders can handle it. Some career entrepreneurs prefer to start companies, grow them to around 50 people, then sell them because they are uncomfortable with the growing pains that inevitably happen beyond this point. They will do it again and again. When you scale up, the ability of senior management to be involved in every detail — to be in all the meetings, involved with every decision, leading all the major initiatives — breaks down. There is a human limit to how many one-on-one relationships you can manage, so your ability to manage as you gain more direct reports goes down. When growing from 50 to 100 employees, new layers of management must get formed. Once you’ve hired great, trustworthy people, don’t ever delegate responsibility without also delegating authority. Your staff needs to keep everything moving while you are doing other things for the organization. They can’t wait around for you to make decisions. Hand them the power to innovate, solve problems, and reach the goals you’ve set out for them. I would rather an employee charge ahead and make an informed, strategic decision that turns out to be a mistake instead of hold back and move too cautiously. Everyone on my team feels empowered. We get it done and we don’t wait. (Wait is a four-letter word.) The burden on leadership is to be sure that goals and strategy are clear, so people can move quickly, with confidence and creativity. To me, business is like a sport. It’s a competition. There is a winner and a loser and it’s a real-world game. Approaching it that way enforces a specific mindset around it. To use football as an example: On Monday you review the film from Sunday’s game and see how you can improve. You practice all week to make tweaks, try new plays, and fix what’s broken. Then your next game is a fresh opportunity to be a new team with a new opponent. In business, like in any sport, we are going to make mistakes. That’s how we learn, but what’s important is that we don’t make those same mistakes again. We get into the mindset of always improving. Failing isn’t necessarily bad — it means your people aren’t afraid to innovate and achieve. 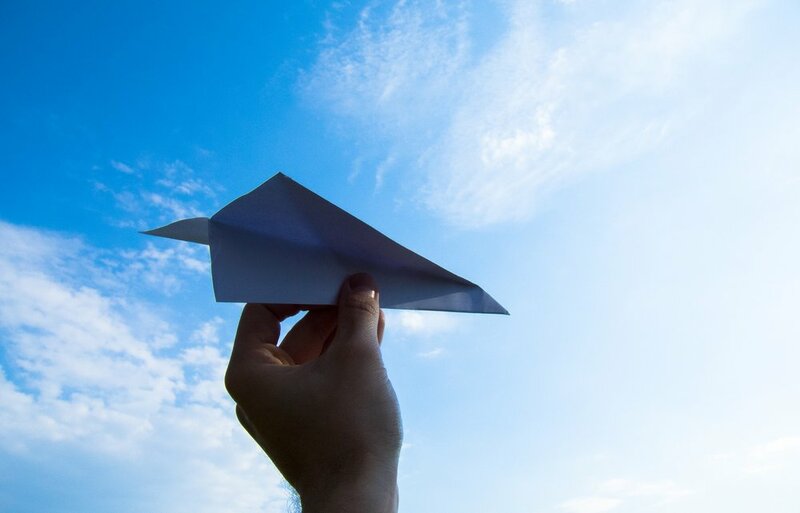 Do these three things — trust, delegate, and learn — which are so core to building a scalable team, and soon your company will be breaking through the sound barrier and once again flying smooth skies. In the end, growth can be fun, and winning is really fun. Your team will be fulfilled and feel like they are making an impact. So to mix metaphors: Go let your team get some speeding tickets!